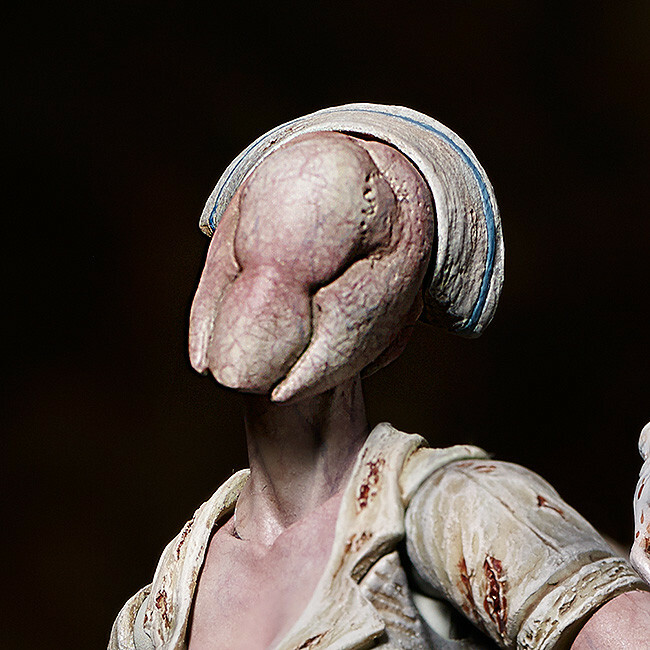 Silent Hill’s demon in a nurse outfit, joining the figma series! 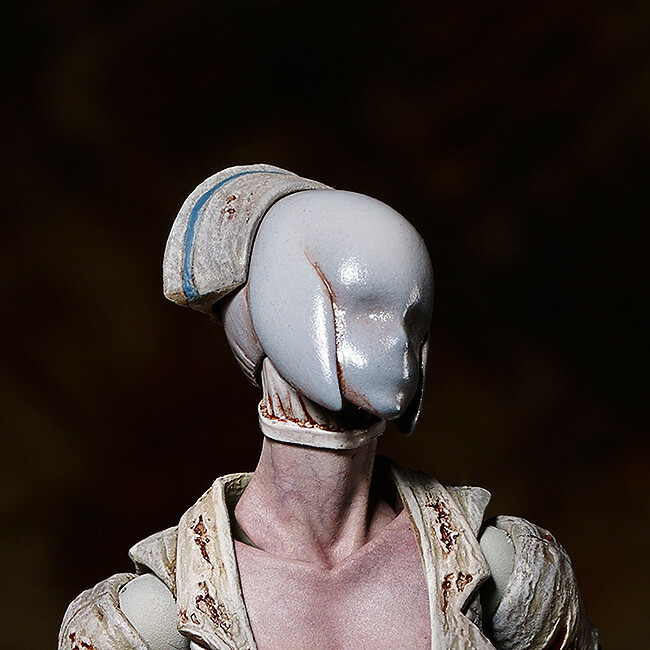 From the highly acclaimed horror game ‘SILENT HILL 2′ comes a figma of the Bubble Head Nurse – the sinister monster with an oddly sensual charm! •A flexible plastic is used for important areas, allowing proportions to be kept without compromising posability. •She comes with both the knife and metal pipe as weapons, and an original revealed head part is also included. •An articulated figma stand is included, allowing various poses to be taken. •Be sure to display her with the previously released figma Red Pyramid Thing to bring out the atmosphere of Silent Hill even more! Coming October 2015 for 4,259 yen.